Hiring a skip from Skips Preston is arguably the most convenient way to get rid of unwanted waste from your domestic project. All that you need to do is choose a skip from a reputable skip hire firm (like us at Skips Preston) and leave the arduous work to them. People who are considering skip hire Preston, to accommodate the waste that’s generated from their project, tend to rush into hiring a skip, settling on the first deal that they find. Although this guarantees skip hire, it’s often a decision that’s made on impulse- a spur of the moment thing. Tips: We recommend that you spend time researching which skip hire company can provide you with affordable skip hire that is tailored towards the requirements of your project. Request quotes from various companies to make comparisons; this will make it easier for you to identify who can offer you the best deal! 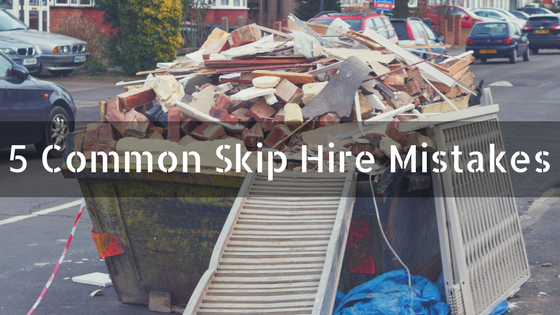 Another mistake that is common with skip hire Wigan is that here at Skips Preston, we supply skips for every project, which can often leave you spoilt for choice. Again, rushing into choosing a skip will result in the selection of an inappropriate skip that doesn’t suit your exact needs and wants. Tips: To make sure that you choose the right skip size for your skip hire Wigan, try to estimate the volume of waste that will be produced. In doing so, you’ll have ample space to dispose of materials, ensuring that you get rid of waste quickly. Most DIY enthusiasts find it tempting to throw all waste materials inside the skip, making the most of it whilst it’s there. Unfortunately, not all items can be stored inside your skip because they require careful disposal. If these materials are found within your skip, you can expect to be on the receiving end of an expensive penalty for not adhering to skip hire rules and regulations. Tips: The best way to make your skip hire Chorley a success is to discuss the requirements of your project, and the types of materials that will need to be disposed of, with our team of experts. We can advise you what can and cannot be thrown in your skip. Often, many people take no notice of the maximum fill levels that are indicated around the side of the skip. These levels are used as a guide to ensure that your skip isn’t overloaded with waste. Underestimating the size of your project will result in your waste piling up- exceeding the wall heights of the skip. Tips: With skip hire in Chorley, you need to make sure that your waste can be transported safely to the recycling centre. Make sure that you regularly monitor the fill levels and remove any waste that cannot fit inside. With skip hire Leyland, everyone seems to forget that recyclable materials can still be recycled. Just because they have a skip on their driveway, they automatically dispose of all waste items within the skip, preventing them from taking the time to separate the waste. Garden waste is an example of recyclable waste that can be thrown in your skip but can also take up most of the space inside it. Tips: In order to maximise the space within your skip for skip hire Leyland, fill your green wheelie bin with garden waste before you start loading your skip. The same goes for any recyclable materials- dispose of these carefully to ensure that you don’t fill your skip too quickly! By avoiding the common mistakes (listed above) you’ll be able to get the most out of your skip hire Bolton, ensuring that your waste is disposed of responsibly. Regardless of whether you’re looking for skip hire Bolton or Wigan, Skips Preston can help you to adhere to skip hire regulations, allowing you to stay clear of any nasty penalties and fines. Call us on 01772827603 to find out more today!